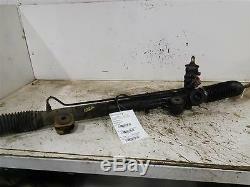 Power Steering Gear/Rack And Pinion 2004 F150new Sku#1850447. This for a USED OEM Power Steering Gear/Rack and Pinion pulled from a. Here are our part notes about this specific part. Assembly, Quality Recycled Oem Part. Please see the fitment section below to make sure this will fit your vehicle. Pay special attention to any options listed!!! In some cases, it may only fit vehicles with certain options or specific ID#s as listed below. 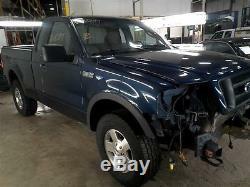 This Part Will Fit The Following Vehicles Listed Below. Here is a short description of what will generally be included with your item. If you would like more information or are unsure if something will come with your item, PLEASE ASK! Sensors and hoses are not included. Include the ATTACHED electronic module unless otherwise noted. Any brackets are not included. Does not include the axle nut. Include the squirrel cage/fan blade. Includes the bracket and slides. Includes wiring (if applicable) up to the first point it can be unplugged. Includes the ball joint and any bushings. Does not include window/lock switches. Included for convenience unless otherwise noted. Not included: Throttle body, Turbo, wiring harness exhaust manifold (may be left on in certain cases). Does not include turbo where applicable. Includes motors, shroud, and blades. Includes sending unit and any molded hoses that are non-removable. Brackets are included unless otherwise noted. HID headlights include the bulbs and ballast. Does not included bracket glued to windshield. If noted as assembly, it will include the lug wrench. Does not include housing unless pictured. Includes pulley and ATTACHED reservoir. Remote reservoirs and brackets will not be included. Pay special attention to our fitment description. Often times radios are more than one piece and we sell them each separately. Does not include hub unless noted. Struts are left assembled and include top plate, spring, and dust boot (dust boots on used struts are rarely in perfect shape). Does not include links or bushings. 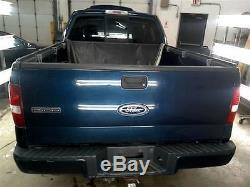 Pay special attention to fitment as we list the trunk lid mounted taillights as well as the corners. Includes all knobs, buttons, and sliders. Automatic transmissions include torque converters and sensors. Many newer transmissions require a relearn/programming procedure. Manual transmissions do not include any part of the clutch system. Does not include electric shift motor. Does not include center cap, tire, TPMS Sensor, or lug nuts. Does not include motor unless noted (most are noted with motor). Does not include arms or transmission unless noted. Does not include motor or arms unless noted. Will this fit my vehicle? Is this the right part? This is the most common question that we get. We try to respond to questions as quickly as possible and we are more than happy to answer any questions as best as we can. In order to speed up the process, it is very helpful, but not required, for you to send us your full VIN number along with your question. It looks like its the same color as my car, how can I tell for sure? Most of the time we include the paint code in our part notes. If you don't know what a paint code is or where yours is located, please feel free to ask. We are happy to help. Can you send me some? Our most recent listings include actual photos when we can provide them. This is on a case by case basis. Send us a message and we will let you know if it is possible for us to do so. I see a wheel that says it is "B" condition, what does that mean? Grading of parts is a very subjective process but we do our best to keep it uniform. Here is a brief description of wheel grades. A Condition, A-COND = This is the highest grade used wheel. It will have very minor imperfections but will be in better condition than 90% of vehicles on the road. B Condition, B-COND = This wheel will have some cosmetic imperfections. 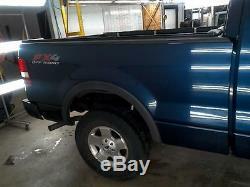 It is in average condition for the year and mileage of the donor vehicle. It may have minor scratches and clear coat peeling. This is still a fairly nice looking, used wheel. C Condition, C-COND = This wheel will have very noticeable cosmetic issues. 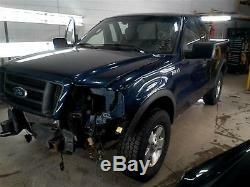 These may include deep scratches, scrapes, major clear coat peeling, and/or some curb rash on the lip. These wheels are still guaranteed to be straight and true, just not the best looking. How are your parts graded in general? Here is our standard grading process for all other parts. A Grade: The highest quality used part. "A" parts have less than 60,000 miles OR less than 15,000 miles per year. Example: An 8 year old vehicle with 115,000 miles is still an "A" grade, based on miles per year as long as there is no physical damage. B Grade: The second quality of used part. "B" parts have average miles and condition for its age. "B" parts have more than 15,000 miles per year of age. C Grade: The third level of quality of a used part. It will have high miles or minor damage. (contacting us directly will get your return processed smoother and faster). We will do everything , within reason, to resolve any problems you may have with your item in the quickest and fairest way possible. Small Parts / Electrical Parts / Mechanical Accessories. In the event of a claim, aaa will offer a replacement part of similar quality. New fluids, filters, seal, and gaskets must be used in the installation of the driveline component. The purchaser's loss of time, inconvenience, Loss of use of the vehicle, towing expense, installation expense, commercial loss, rental cars, or other consequential damages. On driveline components fluids, gaskets, seals, filters, intake manifolds, exhaust manifolds, clutches, water pumps, wiring, thermostats, sensors, hoses, belts, frost plugs, spark plugs, and injectors are not guaranteed. Claims that result from accident, abuse, neglect, alteration, improper maintenance, or improper installation. Claims that result from the failure of other components. Claims that result from overheating due to cooling system failure. Parts installed in vehicles used for commercial, racing, or off-road purposes, or parts used for any purpose other than the original application. All warranties are for the original purchaser only. This listing is currently undergoing maintenance, we apologise for any inconvenience caused. The item "Power Steering Gear/Rack And Pinion 2004 F150new Sku#1850447" is in sale since Tuesday, May 03, 2016. This item is in the category "eBay Motors\Parts & Accessories\Car & Truck Parts\Suspension & Steering\Steering Racks & Gear Boxes". 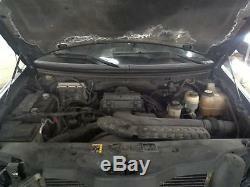 The seller is "aaaautoparts" and is located in Rosemount, Minnesota. This item can be shipped to United States, to Canada, to United Kingdom, DK, RO, SK, BG, CZ, FI, HU, LV, LT, MT, EE, to Australia, GR, PT, CY, SI, to Japan, SE, KR, ID, to Taiwan, TH, to Belgium, to France, to Hong Kong, to Ireland, to Netherlands, PL, to Spain, to Italy, to Germany, to Austria, RU, to Mexico, to New Zealand, PH, SG, to Switzerland, NO, SA, UA, AE, QA, KW, BH, HR.